El Pollo Loco has moved into Houston… or at least it is moving into Houston, one location at a time. The Sugarland location opened in the Fall. The Copperfield location opened very recently. There are three more in the works for an opening in 2015: Katy, Humble and Spring. And that’s just the beginning. You can visit the Copperfield location at 8473 Highway 6 N., Houston TX 77095. Although the location has been open for a few weeks, the official ribbon-cutting is next week. Keep an eye out for it, it should be fun. 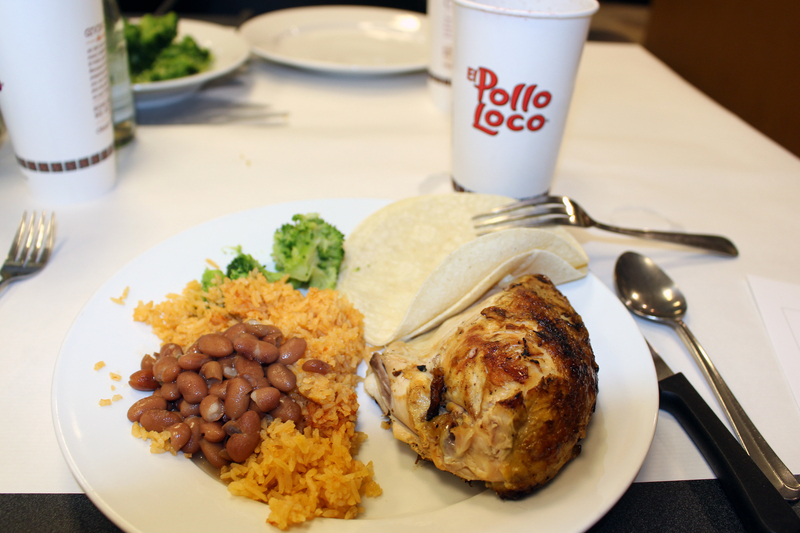 Haven’t visited El Pollo Loco yet? You don’t know what you’re missing. 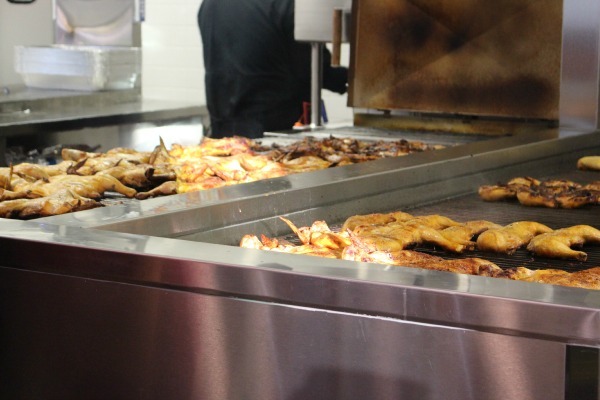 Their signature dish is a citrus-marinated fire-grilled chicken that’s quite tasty. I’m told that the chicken is slow-grilled for about an hour by a Grill Master. The meals include tortillas and a choice of sides including Spanish rice, charro beans, fresh vegetables, coleslaw and mashed potatoes. One of the things I like about the menu is that they have something for everyone. They have sopes, tortas and tacos. They have many many burritos. They offer a variety of salads and chicken bowls that include the very healthy and the not-so-healthy — and they’re all delicious (at least the ones I’ve tasted personally). Yes, there are enchiladas too. Of course, there are chicken meals from the individual portions to the family deals.The variety of sides and combinations of pieces can satisfy your entire family. For the holiday season, that includes all your guests, even if they have special diets. In my family that means that we can feed those who are eating Gluten Free, Paleo, and Atkins… even those who are just eating low-fat/low-cal. All at one single place. There’s a selection of choices under 500 calories. The choices include enchiladas, tacos, a tostada, salads and a burrito. And have I mentioned the desserts? In case you missed it, I’m in love with the cheesecake chimichangas. So so good.